The 157′ custom superyacht Esla, formerly known as Grace, ran aground last week on the Carribbean island Saba. The conditions in which the vessel grounded are not yet known. The superyacht is leaking diesel fuel and its owners are working with the local authorities to ensure the remaining fuel is safely removed from the vessel. After the remaining fuel has been removed the yacht will be salvaged. The owners and authorities are collaborating to ensure that the salvage operation makes the smallest environmental impact possible. 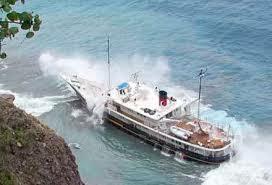 M/Y Elsa aground in Saba. One suspected cause of the grounding is a mooring failure which has prompted officials to reinspect all moorings in designated anchorages and ensure the lines are in good condition. Additionally, Marine Park Rangers will begin assisting arriving yachts to ensure that the boats are safely secured to their moorings. These developements are spurred on by the fact that M/Y Elsa is the second yacht to run aground in a similar fashion within a two week period. 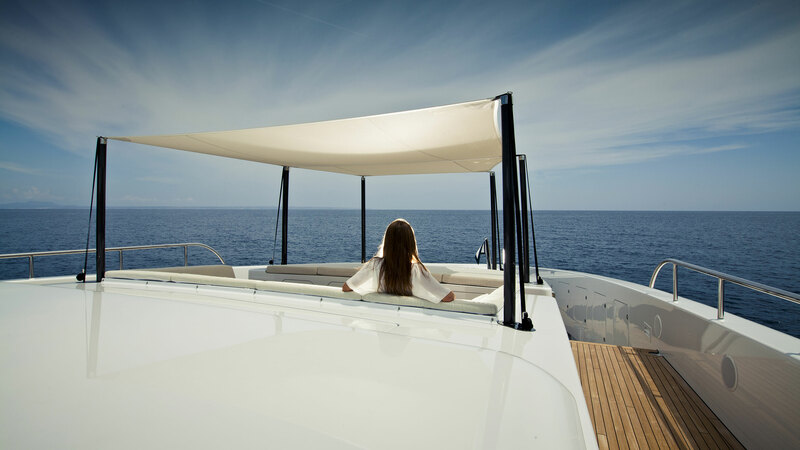 M/Y Elsa was built in 2004 by Netherlands based builder Scheepswerf Peter Sijperda and features a steel hull and aluminum superstructure with accommodations for 10 guests in five cabins plus additional accommodation for up to nine crew members. The Ministry of Infrastructure and Environment is also developing a new Harbor Master Plan to research methods of improving harbor facilities and anchorages with the ultimate goal of increasing Saba’s attractiveness as a global yachting destination.